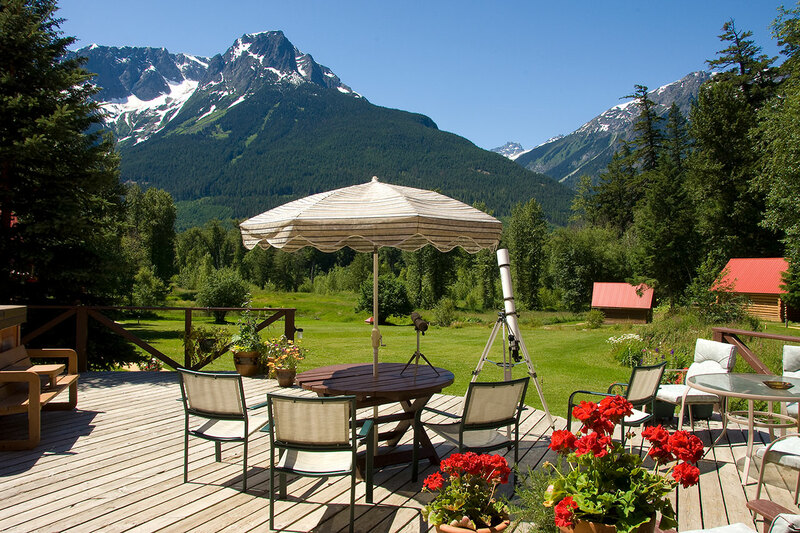 Our Adventure Travel Specialists have personally visited the gorgeous Tweedsmuir Park Lodge, which lies in the heart of the stunning Bella Coola Valley, in British Columbia’s largest protected park. The mountains, the rivers, the fjord and First Nations culture await your exploration! Your excursion begins in magical old growth forest – grizzly territory. The Great Bear Rainforest is their backyard, and they often stroll right past the lodge. 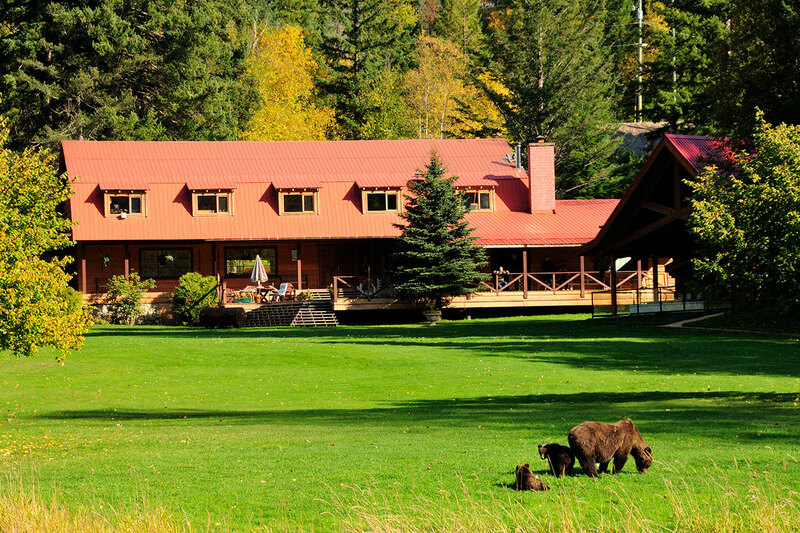 Constructed in 1929, Tweedsmuir Park Lodge initially served as a hunting and fishing retreat, now updated to include modern amenities. 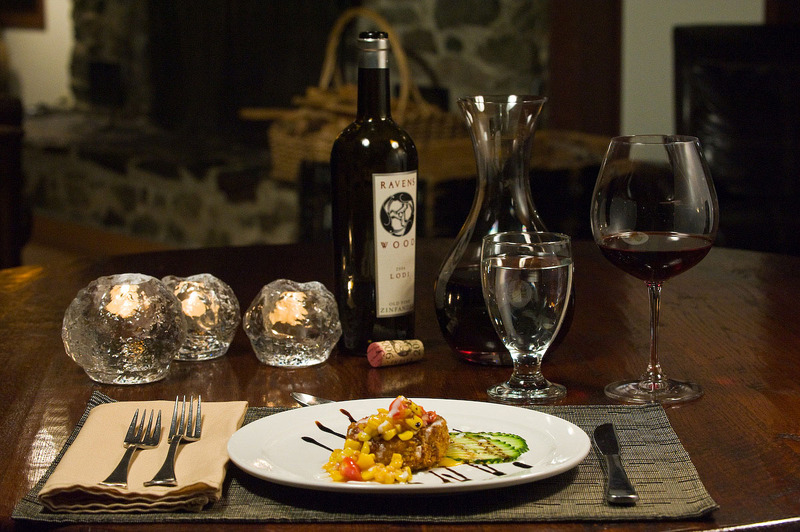 Authentic Canadian hospitality ensures your Chalet stay is a welcome getaway. The vast and rugged Coast Range is the ideal setting for sensational heli-hiking and heli-skiing. Accompany a local guide to learn the Smayustas – the creation stories of the proud Nuxalk people. Visit 10,000-year-old petroglyphs, learn archery, river fishing and even ride an Icelandic horse! Play on the slackline with the scenic mountain backdrop. Follow the lifecycle of the salmon as they return to spawn. Watch eagles as they soar higher up the slopes, where towering glaciers exhibit the sublime beauty of Bella Coola. Enjoy a wildlife viewing, an adventure tour, or have an afternoon to yourself, indulging in a good book next to the crackling fire. 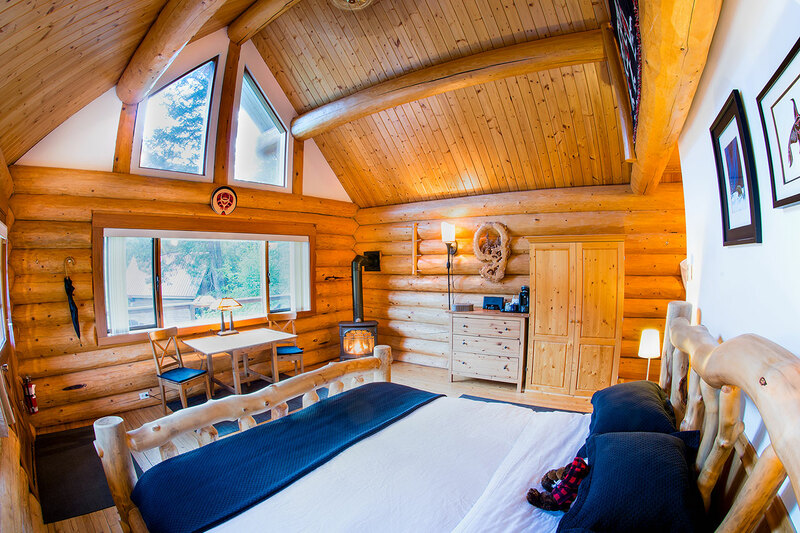 Delight in the lodge’s pristine setting, and enjoy the now. Breathe in….this mountain air is like nowhere else on the planet. Prices: Rates for a semi-private 'Bella Coola Explorer' 3 day program start at $2,385 per adult. Youth ages 12-18 start at $1193, children (11 and under) start at $596. All rates are in CAD. 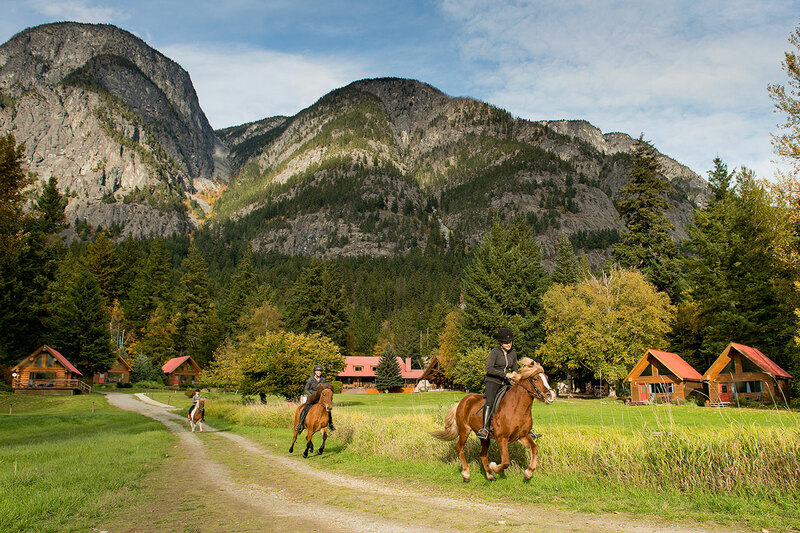 In these all-inclusive packages expert guides take you to explore the stunning, diverse landscapes of our region; from the mighty fjords along the Pacific Ocean to the lush Great Bear Rainforest in the Bella Coola Valley and up to the Chilcotin Plateau! 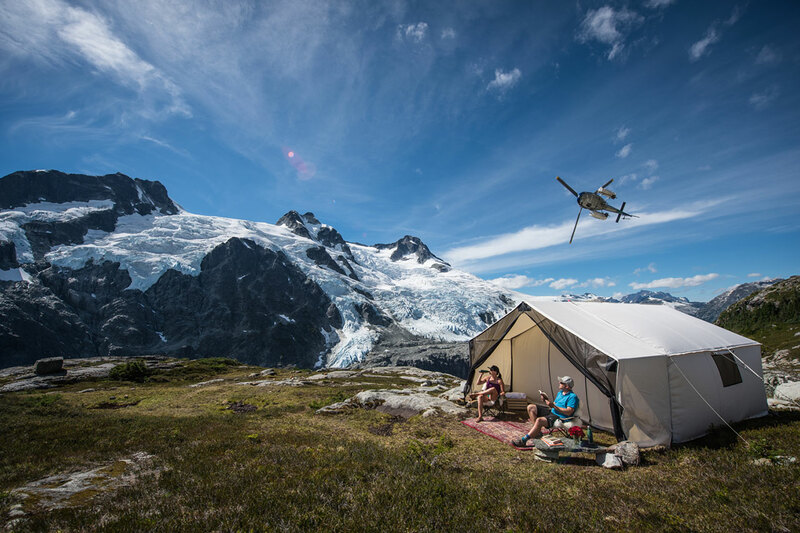 In Bella Coola, the Coast Range mountains meet the Pacific Ocean and creates one of the most spectacular, yet isolated, wilderness areas on the planet. Long fjords, old growth forests, stunning peaks, vast glaciers and abundant wildlife. This pristine region is home to countless salmon, bald eagles and grizzly bears! The best way to experience the Bella Coola Valley is to partake in one of our all-inclusive packages such as the Bella Coola Explorer! Explore the Great Bear Rainforest, including a visit to a waterfall and an old growth forest of HUGE cedar trees! Option add-on: soar above remote alpine meadows, majestic mountain peaks and glaciers by helicopter! The Bella Coola Explorer has been designed to encompass and introduce you to as much of the stunning local environment as possible. Whether you come for 3 nights, 4 nights, 5 nights, or longer, the programs encompass the best that the valley has to offer. All activities are hosted and led by qualified professionals with a wealth of local knowledge and stories. From trained naturalists, mountain guides, cheerful helicopter pilots, and salty boat captains, these people will make the day and terrain come alive with historical perspective and geographical context. Call one of our Adventure Travel Specialists today at 604-736-7447 or send us a message via the 'contact us' button to book your 'great bear rainforest' getaway today!